My husband and I operated a successful B&B until April 2017. We ran this since 1996 and have recently entered the next exciting chapter in our lives! Prior to our B&B life, I worked as a Secretary/Personal Assistant and Frank spent most of his life working on the technical side of Telecom Australia (now Telstra). We have been married since 1996. We are easy going people and make friends easily. We are physically fit, non-smokers and we both hold unblemished drivers licenses. 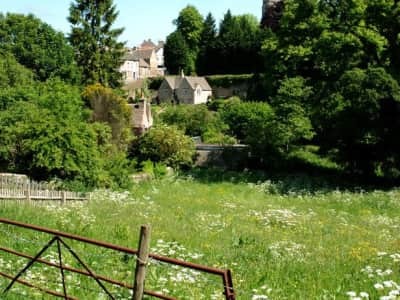 Over the years, we've done the "travelling-all-over-the-countryside" holiday, but we really like the idea of spending quality time in a small village or town as opposed to the "try-to-fit-everything-in" visit! We have family in Oxford in the UK (and 2 lovely little grandchildren) who we usually try to visit each year. We like to experience things "as a local". You never get a real feel for a place unless you can spend some quality time there; and that's what we enjoy. We've seen the places we want to see - and now we just want to enjoy them. We would be more than happy with a short-term assignment/s. Ideally we would like to be considered for a 2-3 week assignment, but would also consider a shorter house-sit. Certainly if we were in the area, we wouldn't mind a 3-4 day housesit if it helps out. Lots of house-sitters prefer long sits, but short sits are fine with us, given our situation. Places we would prefer to house-sit include Scotland, France and Oxford. 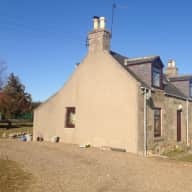 When we travel to the UK, we usually try to incorporate visits to Scotland and/or France, so we would always welcome a short house-sit in either of these places. 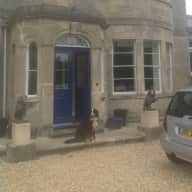 In 2012, we completed a 15 day house-sit in Callander, which we truly enjoyed and have just completed a 14 day house-sit in Bath and a 6 day house-sit in Aberdeenshire (Aug 2013). We were later invited back to Callander in 2014 to our first house sit, where we happily obliged. You can rest assured that if we are charged with the job of looking after your house and pets, we will do it with integrity and give your pets and home the care and attention required. Even though "House-sitting" is a non-paid position, we still like to have a professional approach to each assignment. It's what I would expect from a House-sitter if I was engaging their services. We don't charge for our house-sitting services, but just ask that any expenses incurred in feeding pets etc be allocated prior to your departure or reimbursed. We have had no problems arise in the past, but feel we are physically and emotionally equipped to cope with most situations. We are also happy to keep in touch with homeowners during their absence via email, phone or Skype - if that's what the homeowner would like. Frank and I are both animal lovers and currently own two lovely, very spoilt whippets. We would be happy to take on any kind of (short-term) house-sit assignment and any sort of animal combination is fine with us! Big or small, boisterous or timid, fur, feathers or scales.... We're up for it! 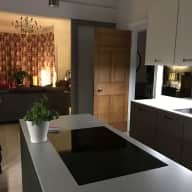 Having owned and operated our B&B for 19 years now, we can assure you that cleanliness is a priority and we would do all in our power to maintain your house as we would our 4 star B&B. Frank is excellent at DIY handyman jobs and can fix just about anything that might need a quick on-the-spot repair during our stay. We hope you might consider us if you are planning a short break sometime in 2016. We are probably looking at being in UK around Aug/Sept - nothing is set in concrete yet. If you've read right down to this paragraph, thanks for not getting bored! We are contactable via email or phone and also have Skype connected, so if you felt it appropriate, we could have a wee chat about things one day. This was our first time using this service, and our experience has been very positive as Linda and Frank were the perfect house sitters. Being seasoned house sitters, they were able to guide us through any questions we had prior to the house sit and always responded quickly to emails etc. 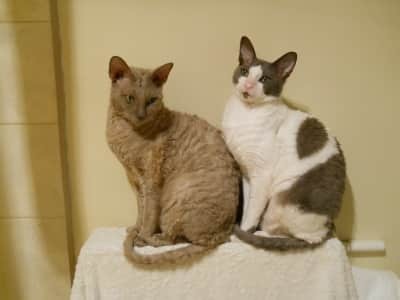 We felt we had a good rapport with them, so felt very comfortable leaving our home and beloved pets with them. 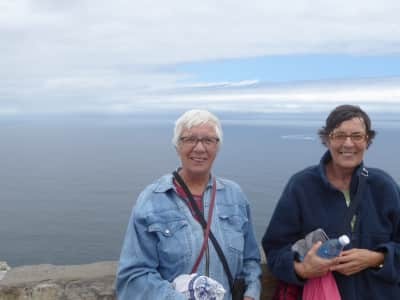 We had very limited internet connection while we were on our trip (as we were at sea), but when we were able to get a signal, we were thrilled to see that Linda had emailed us some pics of our happy, contented animals! On our arrival home, the house was spotless and even the cushions were in the same place as when we left, they had bought us bread and milk and some little Xmas treats from the local markets, which was a lovely touch. 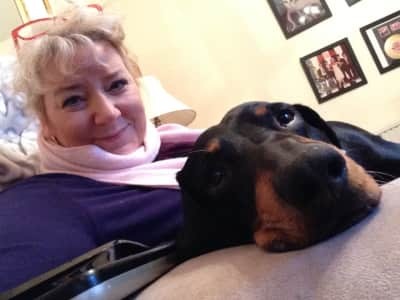 Our dog had been up to her usual mischievous tricks, but Linda and Frank had taken it all in their stride and had lots to report about all the animals antics when we arrived back, they were obviously very fond of them and really get to know their personalities! We would highly recommend Linda and Frank, and hope we can organise another time for them to sit for us. Frank & Linda did a great job for us, looking after our dog, cats & home. They were very friendly, easy to make arrangements with and they left things in an immaculate condition. They even did the laundry and cooked a meal for us returning home. Couldn't recommend them highly enough. Absolutely amazing.Linda and Frank truly are wonderful house sitters.They treat your home as they would their own and in our case even better.The House shone when they left it had never been so clean and tidy.Would have them back in a heartbeat.Moose our dog from all accounts settled well and we were kept informed of bee stings and anything untowards. If you want peace of mind while you are on holiday I would 100% recommend Linda and Frank,without a shadow of a doubt. I would highly recommend Linda & Frank as house sitters. 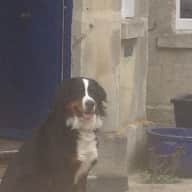 Our house was well looked after & more importantly, our two dogs were happy - Linda & Frank kept them in their routine including their twice daily walks at the beach & allowing them the flexibility to come in & out of the house as they pleased. I wish Linda & Frank all the best in the future & homeowners, you won't find more caring & reliable house sitters! 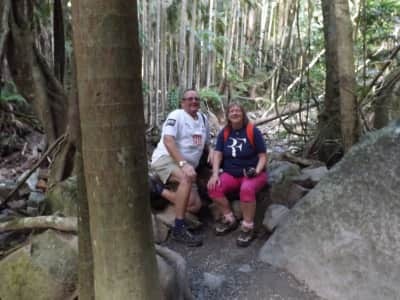 Linda & Frank Carroll have been guests at my property in Hervey Bay on a regular basis for over 5 years. They look after my home as if it was their own. Always clean and tidy and making sure that my plants are watered in the hot summer months. They are welcome anytime. Linda and Frank looked after our home, 3 jJack Russell's and our Ragdoll cat. Dogs were walked daily and well looked after.n We were away for 8 days and we would highly recommend them. Everything was perfect when we arrived home to fresh milk in the frig for coffee. We also allowed them the use of a vehicle and they even replaced the fuel they used. Very happy and will use them again without hesitation. Linda was my personal assistant for many years until she and her husband decided to embark on running a (now) famous Bed & Breakfast property in rural Victoria. They turned this into an award winning establishment very quickly, and much as I applaud their success, I lost the best assistant I had ever had. Efficient, organised, unflappable, devoted animal lovers and gracious hosts, we had many good times professionally (and latterly, socially) together. Her husband Frank is a charming and highly resourceful man, and I could not commend them highly enough to anyone seeking to have their home care-taken by these people. My Husband & I have known Linda & Frank for 12 years professionally and socially We know them to be honest, trustworthy, reliable and respectful.